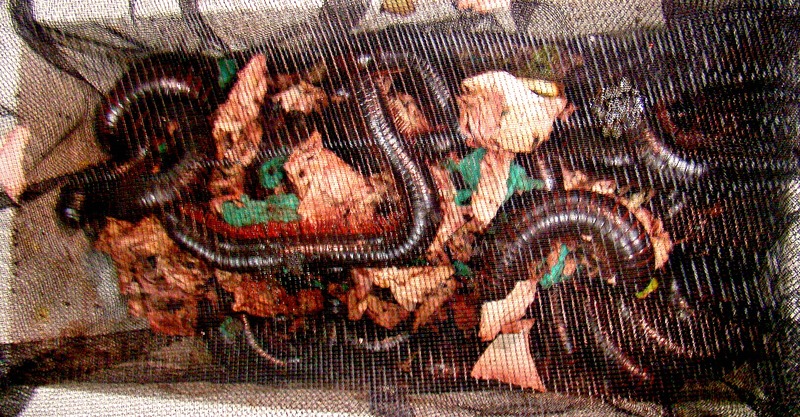 Twenty squirming foot-long millipedes in a falsely labeled package from Germany were seized at San Francisco International Airport last month, a U.S. Customs and Border Protection official said Friday. On July 8, U.S. Customs and Border Protection agriculture specialists at the U.S. Postal Service International Service Center at SFO discovered the giant millipedes while inspecting a package marked "toy car model," U.S. Customs and Border Protection acting spokesman Fred Ho said. The large package was routed through an x-ray machine and, upon further inspection, customs officials found the package consisted of a large Styrofoam box containing a mesh bag holding 20 giant millipedes, as well as chunks of soil and paper, Ho said. The exotic bugs don't bite and can last between four and seven years on a diet of spoiled produce. Some, however, have a poison secretion, Ho said. The giant millipedes were likely intended as exotic pets, Ho said. While the United States allows exotic pets to enter the country, the package of giant millipedes lacked required import permits and was misrepresented in an attempt to bypass federal regulations. The millipedes were therefore seized by customs officials before they reached their intended destination of Vista, California, Ho said. The sender in Berlin was issued a postal violation and the bugs were euthanized in alcohol. They are now in the possession of the U.S. Department of Agriculture, customs officials said.